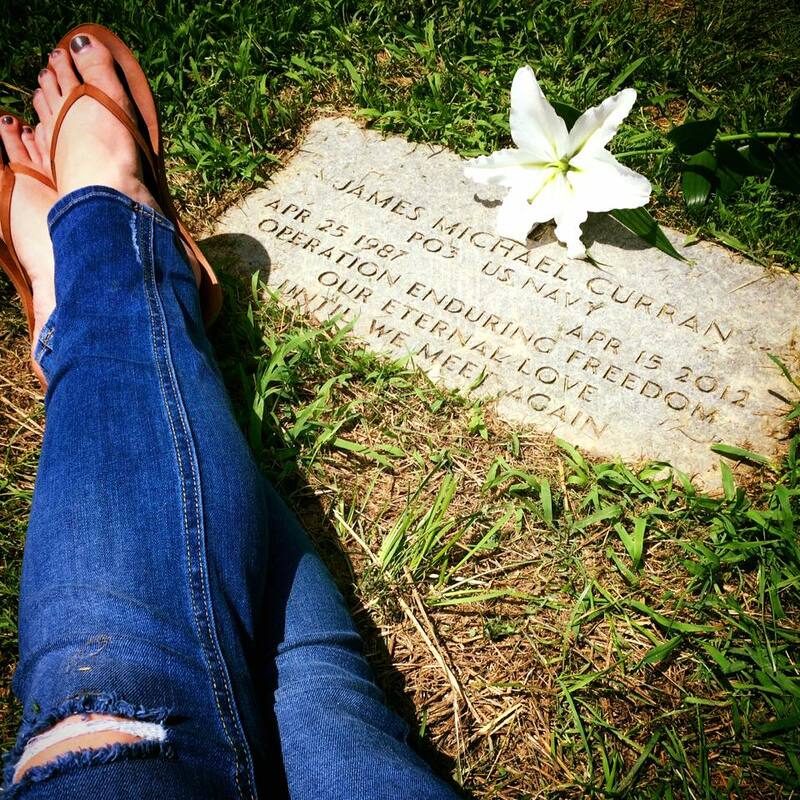 Though they attended the same high school in New York and graduated in the same year, Alanna didn’t officially meet James “Jimmy” Curran until January of 2010. Then, it was a whirlwind. 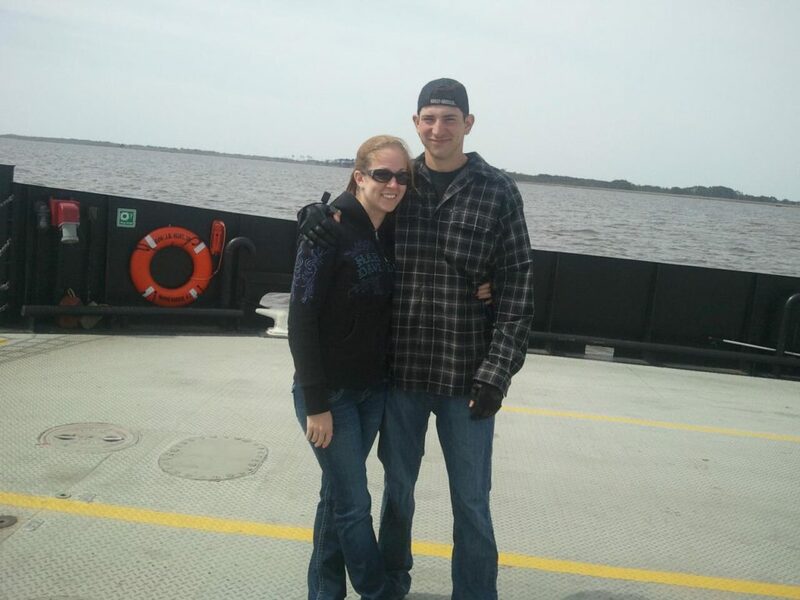 They dated for five months before Jimmy, a Navy Seabee, was notified that he would be deployed again in August to Afghanistan and Mozul as part of Operation Enduring Freedom. 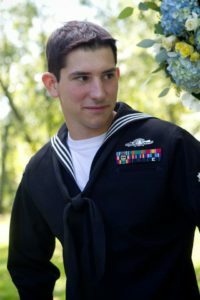 He had already deployed to Iraq and Haiti, earning numerous medals along the way. Before leaving on this deployment, Jimmy surprised Alanna with a craft table that included an organizer. In it, he’d placed an engagement ring. When she found it, he made his way to her on his hands and knees and popped the question. She replied with “duh,” the same way she had when he’d asked her to be his girlfriend. Seven long months later, Jimmy returned from deployment and the pair couldn’t wait a minute longer. “He came home and we said, ‘let’s just get married,” laughs Alanna. They couple went straight to the courthouse and eloped in their jeans and T-shirts on March 28, 2011, and decided to plan a family wedding in New York later that fall. Life was good. They were together and while they were in no hurry to start a family, it was a bright spot they looked forward to in the future. They loved riding motorcycles together, Alanna riding since she was 6 and Jimmy, dirt bikes since he was a kid. He bought his own motorcycle at 23 and they participated in fundraising rides for causes like autism. They dreamed of traveling together and growing up together. After all, they were only 24 years old. But, on April 15, 2012, everything came crashing down. While riding in Virginia Beach, Jimmy was in a horrific crash that left him on life support in the hospital. The impact had severely impacted his brain and doctors broke the news that there was no activity. Alanna made the heart-wrenching decision to take him off life support. “I kind of say I lost my future” in that moment, says Alanna. Slowly, she began to heal, first returning to Virginia, back to their life. She was introduced to TAPS – Tragedy Assistance Program for Survivors – an organization dedicated to helping the family members of active military members killed in action or other circumstances sift through the layers of grief. Now, she’s offering support to six other military widows facing similar circumstances. For Alanna, it was embracing life. That meant pursuing nutrition and fitness. 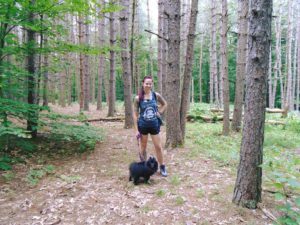 Hiking and a bachelor’s degree in human development and psychology. Completing steps in a journey that was on hold for a very long time. During this journey, Alanna was craving a new creative outlet that also allowed her to make extra money. 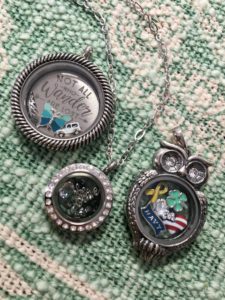 Through a random Google search, she stumbled across Origami Owl® custom jewelry and immediately fell in love with the miniature Charms. 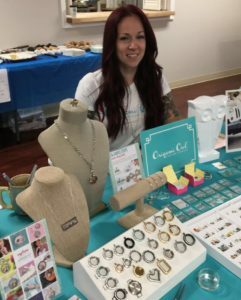 She quickly started her own Origami Owl business as a Designer in October of 2016, and began taking her Origami Owl jewelry to events and marveling at how open complete strangers would be, sharing their deepest stories with her to create meaningful Living Lockets®. Her Origami Owl business helps her to financially cover payments on her “baby,” a shiny black Jeep, along with other bills around the apartment, which is now in New York not far from where Jimmy was laid to rest. On specific days, like Jimmy’s birthday in April, Alanna creates a special Locket to wear and remember him. It might have an American Flag. A Navy Charm. A Four-Leaf Clover Charm in honor of Jimmy’s Irish heritage. A letter “J” Charm or an “A” Charm. It’s a quiet expression she can reflect on throughout the day, honor him and keep him just a little closer. And she has advice for other widows walking through the same valleys she has.